At approximately 10:46 a.m., Sheriff’s deputies responded to the Eagle Community Credit Union for a report of a robbery in progress. Responding deputies were provided a description of Graham and indicated he left in a tan or gold sedan. Approximately six minutes later, a deputy observed the vehicle matching the description travelling northbound Interstate 5, approaching Sand Canyon Road. The vehicle exited Tustin Ranch Road and a short vehicle pursuit ensued before the vehicle yielded near Red Hill Avenue and El Camino Real in the City of Tustin. Graham, the driver and lone occupant in the vehicle, was taken into custody without incident or injury. The Orange County Bank Robbery Apprehension Team (BRAT) is handling the investigation. 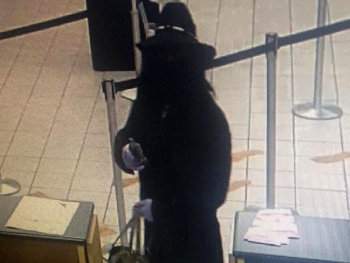 Based on the preliminary investigation, BRAT investigators do not believe Graham is connected to other bank robberies in the Orange County area. 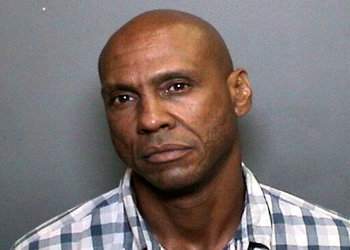 Graham was arrested for robbery and booked into Orange County Jail. He is being held on $200K bail and is scheduled to appear in court on Wednesday, September 23, 2015. Bank Robbery Apprehension Team (BRAT): Federal task force that collaborates with law enforcement in cities where suspects rob banks and is made up of FBI agents and investigators from the Orange County Sheriff’s Department.